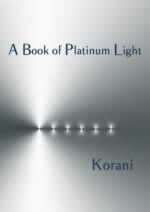 I am delighted to share with you my e-book: "A Book of Platinum Light". This book contains seven Platinum Portals, each of which serves as a gateway, opening and expanding you into greater awareness so that you might access more of the Divine being you truly are. It is a "small" book with a "big" energy! Each Portal carries a particular vibration that facilitates you in awakening to the vastness of you. The more you allow yourself to receive these vibrations the more you will be able to access within yourself the qualities they transmit. This book invites you to open to the greater you. It shares with you the possibilities available when you cease to define and limit yourself and instead acknowledge the infinite beauty and wonder of who you really are. 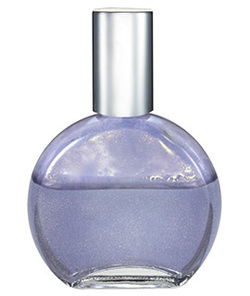 The seven Platinum Portals are inspired by and closely linked to the seven Platinum Gaia oils from the Colour Mirrors system. Each Portal is a 'download' of light - platinum light - and offers a specific transmission, carried in the words of the book. This e-book is short yet potent. One reader described it as a "shot" of light! Rather than lengthy explanations and detailed descriptions of what each Platinum Portal is about, here you are offered an experience; a ride into cosmic frequencies which guide you to remember your own platinum light. Platinum is an energy to receive, to allow, to soak and bathe yourself in. Through this e-book you will come to discover your own connection with its cosmic emanations. The Platinum Portals and the corresponding Platinum Gaia oils, if we allow them, can enable what is dense to become light, what is stuck to become fluid and what is restricted to dissolve into unlimited expanse. In this e-book, through the brief yet light-fueled words of each Portal, there will be particular frequencies which touch you at a cellular level as you read. Your head may not understand exactly what is happening, but if you open to the "infinite" you, you will find that you know anyway - with your heart, with your soul, with your body. Allow it all. Let Platinum Light be a catalyst to your awakening to the truth and vastness of who you are. I wish you great joy on your travels. “This is an opportunity to experience light in its purest form; a direct transmission." “Your words are out there with the highest available on the planet at the moment."